Two weeks ago my gorgeous Oliver turned five. Where have the last five years gone?! It feels like yesterday that he was a just a bump kicking me and sticking his bum up under my ribs! Anyway, fast forward five years and he's a headstrong, inquisitive, hilarious, very tall boy who asks the most extraordinary questions. A typical day includes questions like... What's inside our planet? How do we stick to the ground? How do escalators work? Why do cars drive fast on the motorway?!!! He really gets me thinking of how to answer his questions in a way he'll understand! 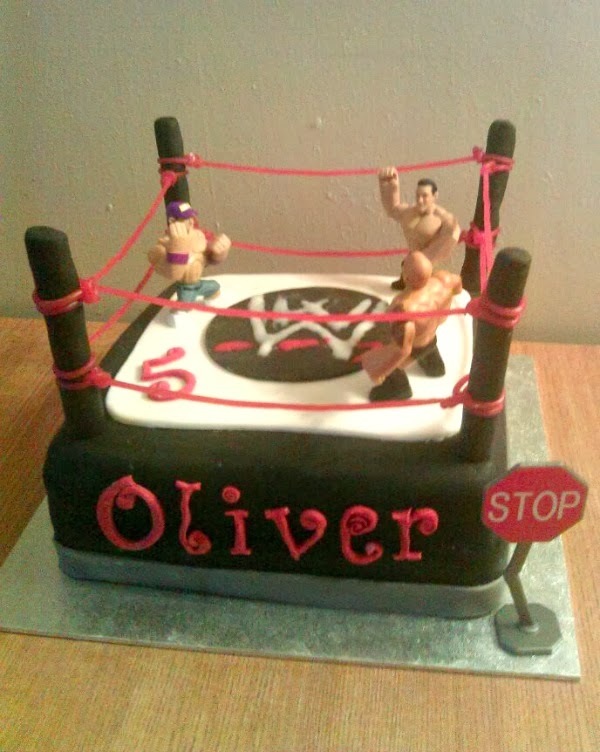 Anyway, this year his first request was an Eddie Stobbart birthday cake. 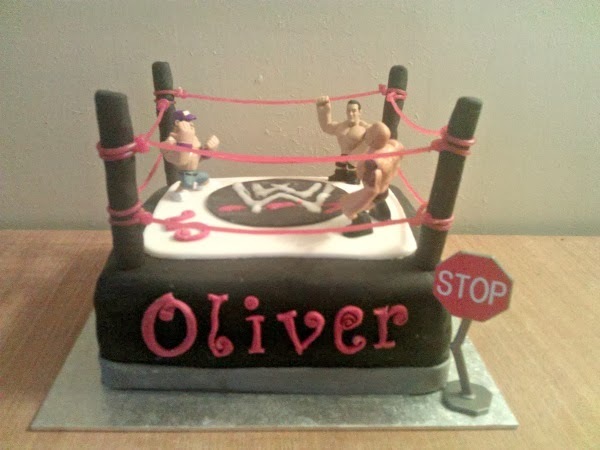 I knew this was way beyond my capabilities so I kind of talked him out of that and he decided on a wrestling cake instead. Oh goodness! Where to start with that one? Of course the wonderful world of Pinterest came to my rescue with an abundance of ideas and this is what I came up with. The sponge was Victoria sponge cake, filled with raspberry jam. It was the first square cake I've ever made and I'm not sure if I want to do another in a hurry! I'm gutted that the photos are such bad quality but I finished it at around 10pm and planned to take photos the next morning. However it was such a dark miserable day that the light was just awful and I could not get a decent photo. 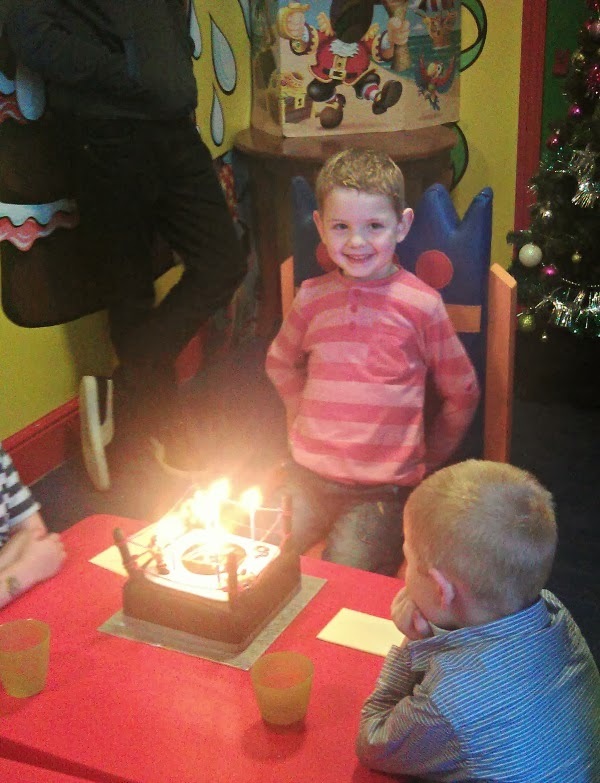 Oh well the important thing is that Oliver absolutely loved his cake and it was a pleasure to see the delight on his little face when all his friends and family sang happy birthday to him and he blew out his five candles.